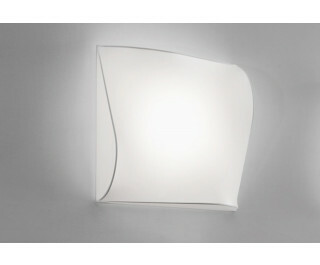 The Axo Light Stormy, is a collection of wall and ceiling lights with metal frame and removable and washable stretch fabric cover. Stormy is metamorphic, flexible and perfect for extremely original decor combinations. Stormy is evidently inspired by the large white clouds that often presage violent storms but, at the same time, the sinuous softness of its shapes recall metaphysical landscapes and scenarios that have guaranteed emotional impact. Stormy can be used for contract environments and the home, alone or in groups, in different sizes and with different nuances. Stormy has a metal structure covered with removable, washable elasticized fabric. Stormy light sources are incandescent, fluorescent and halogen. It’s available in white or ivory, measures 100cm x 100cm or 60cm x 60cm.